The Bad Seed crew are having a great year so far judging by the quality of their Salted Lemon Wit collab with Northern Monk (already a contender for beer of the year?) and now this, their very own, very unique take on a fruit ale. 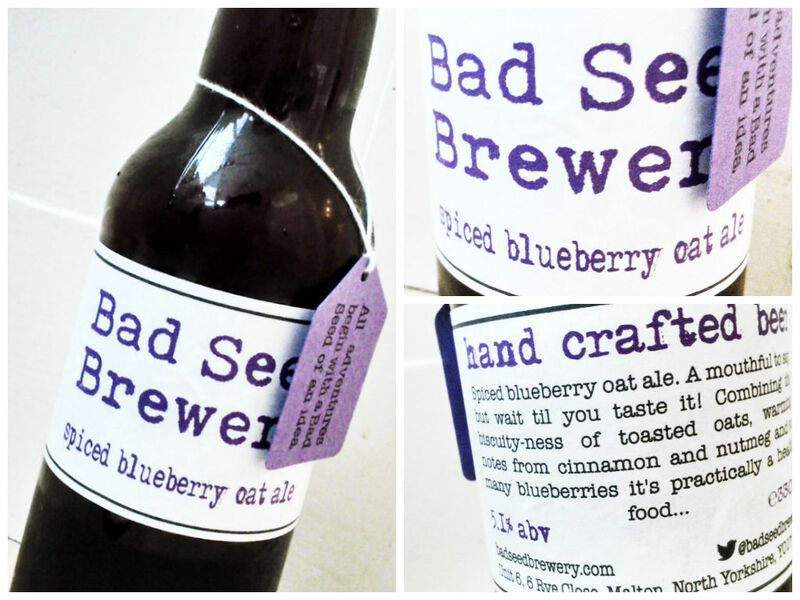 This 5.1% addition to the Bad Seed line-up is bursting with aromas of blueberry, baked oats and cinnamon. It’s like sticking your nose into the centre of a freshly baked blueberry flapjack. A clouded amber in appearance, this lightly carbonated offering is a delight, filling the mouth with sweet, berry -fruit highs amid a lemon citrus note that brings a mild bitterness to balance out the sweet. The fresh, light fruitiness is also accompanied by a warming & rich note brought by the addition of cinnamon and nutmeg spices alongside oats. Toffee makes a brief appearance also, in a dry finish to what is a beautiful brew that wouldn’t be out of place at any time of the year- be it for a summer fruit kick, or a festive spice high.